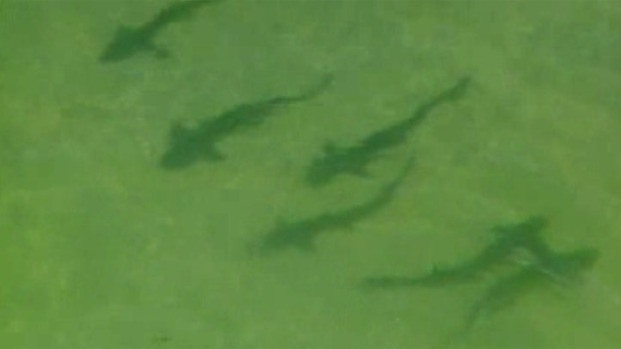 Leopard sharks filled the water off San Diego Thursday, swimming alongside divers and people wading into the ocean. It's not an unusual sight to see off the La Jolla coast in the fall and winter months, according to experts at the Birch Aquarium with the Scripps Institution of Oceanography. 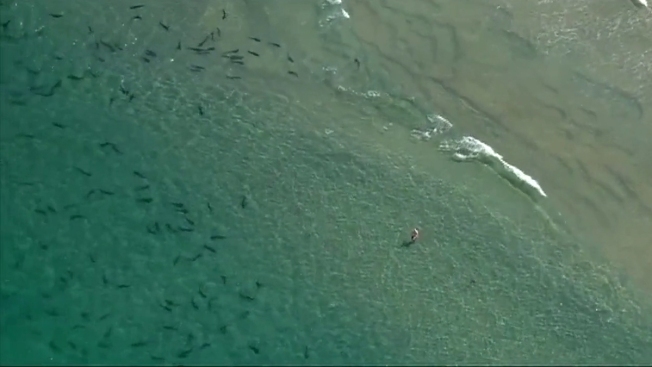 The shallow waters provide the sharks with a calm environment packed with food. They are not considered dangerous and will ignore swimmers and divers in the water unless provoked. They eat clams, worms, crabs, shrimp, squid, fishes, and fish eggs found on or near the ocean bottom. Their markings appear to be similar to a leopard's spots and can be used to identify them, like fingerprints. Adults can measure up to 6 feet.